President Trump has seemed to double down on a theory, popular among his supporters, that George Soros or other Democratic groups are financing the migrant caravans surging toward the US’s southern border. Congressman Matt Gaetz (R-FL) tweeted footage earlier this month that appeared to show Central American women and children receiving money to join a migrant caravan, while Fox News reported earlier this week that some of the migrants are being bused through Mexico in order to reach the US by Election Day. Over 6,000 migrants are currently moving toward the border in four groups. 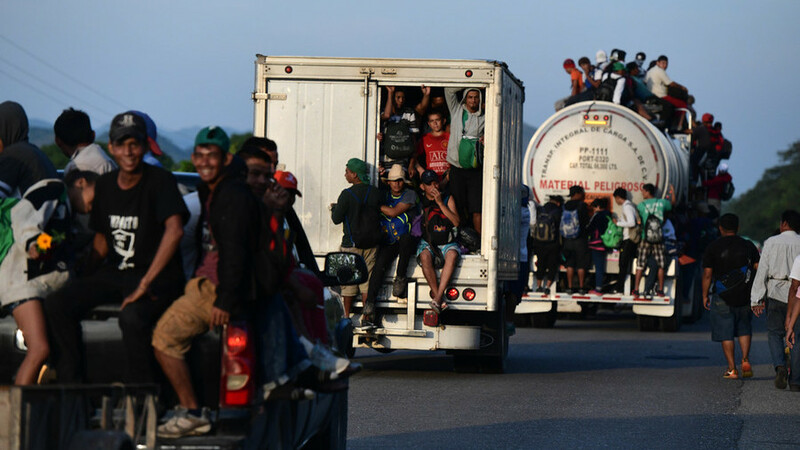 The closest and largest group, numbering about 4,000, has made it as far as Juchitan, Mexico, while two more groups totaling about 2,000 migrants left El Salvador on Wednesday morning. Many in the media blamed Saturday’s mass shooting on “anti-Semitic conspiracy theories” involving Soros, the billionaire Democratic financier and currency speculator known for funding Democratic and progressive causes. Before embarking on the rampage that killed 11 and wounded six at Pittsburgh’s Tree of Life synagogue, gunman Robert Bowers condemned Jewish aid group HIAS, which resettles refugees, on social media. He also believed Trump was controlled by Jews and made no secret of his anti-Semitism or opposition to the president. Trump was previously accused of anti-Semitism during the Kavanaugh hearings for tweeting that protesters (whom he called “elevator screamers“) were “paid professionals” funded by “Soros and others,” even though Soros-funded groups like MoveOn.org did in fact organize several protests against Kavanaugh’s nomination. Soros was the first of many prominent Democrats to receive a bomb-like device in the mail last week. Florida man Cesar Sayoc has been charged with mailing the packages, which were treated as live bombs by authorities but were found on analysis to be incapable of exploding. Authorities searching the van where he is believed to have lived and constructed the devices found a “hit list” of over 100 names they believe he planned to target. BUSTED: PRIOR CENTURY COMMUNISTS RUN ANTIFA!